Periodic fasting is going without food, drinking only water, for a period of time that may last from 12 to 16 hours. Most people undergo this kind of fasting in an effort to try to lose weight. However, there is mounting evidence that periodic fasting leads to an increase in estrogen production, which then leads to a process called autophagy. These three factors in combination appear to slow the aging process, as well. When considering aging, most often the piece left out of the discussion is the effects of hormones. Research indicates hormones play a significant role in aging and are affected a great deal by periodic fasting. The interaction between periodic fasting and hormones helps metabolic pathways deliver optimum health and increase longevity. In spite of this promising research, there are drawbacks to periodic fasting, as well. Especially if you have adrenal fatigue treatment, periodic fasting may lead to an exacerbation of your symptoms. Many people engage in this kind of fasting almost daily. Consider this, if you eat your last meal at seven p.m. and don’t have any more food until breakfast at seven a.m., you have effectively fasted for 12 hours. And even relatively short fasts such as this appear to have some health benefits. Periodic fasting is an overall term that describes several schedules of fasting. In general, you are reducing the number of calories you consume either daily, on alternate days, or for a couple of days every week. The “5:2” fasting plan is one of the most frequently recommended. This involves eating normally for five days of the week and fasting for two. When fasting following this plan, the idea is to cut your caloric intake on fasting days to one-fourth of your typical intake. Be sure to drink plenty of water and tea on those days. Another fasting plan that is used frequently is the alternate day fast. This way of periodic fasting can be difficult for some people because it is one-day fasting followed by one day of eating regularly. This means the fasting period may be as long as 32 to 36 hours if sleep time is included. It also means going to bed on an empty stomach every other day. Some research conducted with this alternate day fasting plan showed compliance to be higher than with some other plans. The idea in this fasting plan is to consume 500 calories on fasting days and to eat normally on non-fasting days. Consuming these 500 calories in one meal seems to work best, at least so far as cutting down on cheating is concerned. This research also showed this kind of periodic fasting to be as effective for losing weight as total fasting. 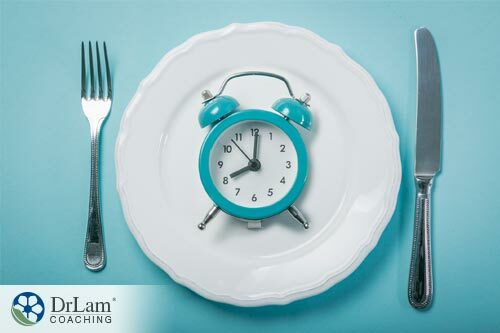 A third fasting plan is one in which you restrict your eating to a specific time period. For example, you allow yourself to eat only during a specific eight-hour window of time. Adherents of this fasting plan say it becomes easier to stay with once your body begins burning fat for fuel instead of sugar. The reason for this is that fat is a slow-burning fuel for your body as compared to the fast-burning sugars that you normally consume. You’re able to keep going longer because you don’t have the energy crashes associated with sugar consumption. With this periodic fasting schedule, as well as any other, staying with it is the major issue. Those who use this third plan the most say it is easiest to comply with because of the lack of energy crashes. They also report the food cravings so many people fall prey to when fasting will go away once your body begins burning fat for fuel. The amount of food you consume will also decrease when this begins. There is a synergy between periodic fasting and hormones. This interaction serves to optimize metabolic functioning to increase health benefits. The relationship between this kind of fasting and hormones brings some significant benefits and poses some potential problems. It is a relationship that works differently in men and women. Particularly for women, periodic fasting can bring possible health problems. Women’s bodies are very sensitive to indications of starvation. The hunger hormones ghrelin and leptin will be increased if the woman’s body senses starvation. Fasting can bring on feelings of hunger in women that seem to be insatiable. This is the way a woman’s body prompts her to protect a fetus, even if she isn’t pregnant. A woman cheating during periodic fasting danger of this is that when women ignore these indications of hunger, they may become worse. Given enough time suffering from these hunger symptoms, they become almost impossible to fight against. You may give in and binge eats, leading to guilt. Then, you go through fasting again, bringing on the feelings of starvation, and on and on. This kind of vicious cycle can lead to significant hormone imbalance and even stop ovulation. In fact, animal studies showed female rats in these conditions stopped having menstrual cycles and even experienced shrunken ovaries. They also had more problems with insomnia than male rats in the study. The males also experienced lowered testosterone. Even with the few studies involving human subjects and the different responses of men and women to periodic fasting, it appears clear that this kind of fasting can lead to serious problems in women. Because of hormonal imbalance, women are more likely to experience fertility problems and eating disorders such as anorexia and/or bulimia, as well as binge eating issues. Reducing insulin levels has been shown to be one of the fasting’s health benefits. It is easy to see why. All foods consumed increase insulin levels in your body, so if you stop consuming food, your insulin levels fall. With periodic fasting, even for time periods as short as 24 hours, once your body begins burning fat, your blood glucose level will remain constant even as your insulin levels fall. When fasting, your insulin resistance will decrease and your sensitivity to insulin will increase. This allows your body to utilize insulin more effectively and efficiently. This insulin issue is the missing part of most diets. Lowering insulin also will lead to lower levels of salt and water in your body. This can then bring on lower blood pressure, another health benefit of periodic fasting. Many people use periodic fasting to increase the burning of fat for fuel for your body. If this fat can be made more available, it will be burned more effectively. Growth hormone has been shown to make fats more available for burning while it preserves muscle mass and bone density. One of the best ways to increase the production of growth hormone is through fasting. Fasting for five days has been shown to more than double the secretion of growth hormone. Noradrenaline and adrenaline work together to keep energy levels high and to optimize metabolism functioning. One of the ways they do this is to burn fat for fuel. These two catecholamines bind to the beta one and two receptors in your body, increasing the cAMP levels and the breakdown of fat. In order for body fat to be burned for fuel, it has to be removed from fat cells. An enzyme called Hormone Sensitive Lipase (HSL) is needed for this to happen. Insulin decreases HSL. Noradrenaline and adrenaline, the catecholamines, increase HSL by increasing cAMP levels. Thus, periodic fasting aids in burning fat by decreasing insulin levels and increasing noradrenaline and adrenaline levels. This increase in noradrenaline is seen in the increased metabolic rate during periodic fasting. During fasting, the body revs up metabolism rather than shutting it down. Periodic fasting and no-sugar dietWith this revved-up metabolism, the body begins burning fat instead of sugar for fuel. Fat is stored food, after all. Thus, the body uses this stored food for fuel when consumption of sugar is limited through fasting. Because sugar is easily accessed and simpler to use, your body burns it first. Unfortunately, only so much sugar in the form of glucose can be stored. Therefore, it must be resupplied frequently. Fat, on the other hand, is in long-term storage, so to speak. It is more difficult to place fat in storage and to remove it for use. Fasting becomes the mechanism for burning all of the stored sugar so that the fat then becomes available. The idea is that, rather than continually replenishing your supply of sugar, you stop consuming it to make the stored fat available. One of the difficulties that can arise under conditions of Adrenal Fatigue Syndrome (AFS) is that of estrogen dominance. Periodic fasting helps decrease estrogen dominance by lowering body fat. This is important because every fat cell secretes estrogen to maintain itself. This secretion of estrogen by fat cells leads to an imbalance in the estrogen/testosterone hormones in both men and women. In men, it causes an overabundance of estrogen; in women, an overabundance of testosterone. This brings on estrogen dominance. Estrogen dominance leads to fat deposits in both men and women. In men, it also can lead to low testosterone, prostate problems, and erectile dysfunction, as well as cancer. While estrogen can be a problem in some cases, in others, it is a necessity. For example, estrogen is necessary for autophagy to occur. Is Social Media Negatively Affecting Your Health?